Post your answer on their Instagram video as well as in our comments to keep “the conversation” going. As you are probably aware, Hasbro’s asking collectors like you for input on figures to fill upcoming waves in the comeback of The Vintage Collection. 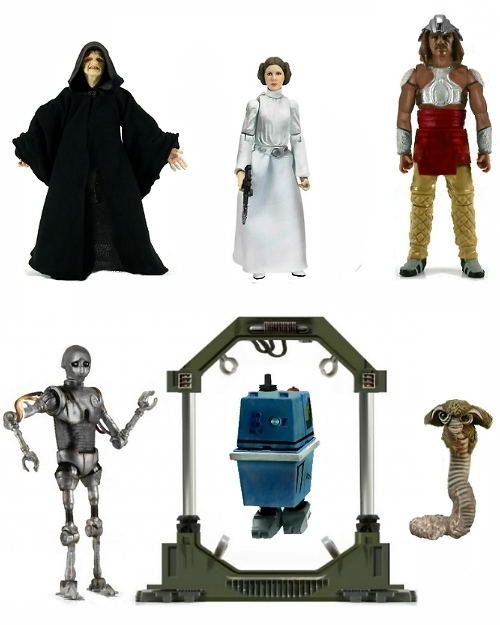 So, we thought now would be a great time to remind our readers of some of the amazing concepts for new figures using a combination of new and existing molds that were posted in our forums by different fans, most notably, Yakface Forum moderator localgotal. So, for inspiration, check out some of the great concepts that were posted HERE, and be sure to be sure to make your voice heard on the Hasbro Pulse Instagram page, and stay tuned as new questions are posed to the collecting community. Note: Above figures are a sample of concepts posted in our forums. Post your answer on their Instagram video as well as in our comments and watch for a new question tomorrow.